PBT chemicals have been a significant regulatory concern for years because they remain in the environment for long periods of time and concentrate in the organisms exposed to them. These chemicals can transfer in environmental media like air, water and soil, and span boundaries of geography and generations. The new amendments to TSCA reflect Congressional concern with PBT chemicals, and are intended to promote major improvements to public health by limiting the manufacture and use of these chemicals. TSCA Section 6(h) is a new provision that outlines a procedure requiring “expedited” regulatory action on PBT chemicals listed in the 2014 TSCA Work Plan. Launched under the Obama Administration, the Work Plan focuses on particular existing chemical substances believed to pose environmental or human health concerns. Unsurprisingly, certain PBT chemicals are on the list of Work Plan chemicals. The provision is intended to reduce exposures to PBT chemicals to the “extent practicable” by authorizing the EPA to assess and identify appropriate risk management actions for such chemicals and skip the risk assessment process that non-PBT chemicals must go through before risk mitigation measures are considered and imposed. • 2,4,6-Tris(tert-butyl)phenol, used as a fuel, oil, gasoline or lubricant additive. Only two PBT chemicals were nominated by industry stakeholders by the September 19th deadline; the EPA has excluded these two chemicals from the expedited action requirements under Section 6(h). The chemicals are used in fragrance mixtures and include: ethanone, 1-(1,2,3,4,5,6,7,8-octahydro-2,3,5,5-tetramethyl-2-naphthalenyl) and ethanone, 1-(1,2,3,4,5,6,7,8-octahydro-2,3,8,8-tetramethyl-2-naphthalenyl). The statutory deadline for the EPA to propose action is June 22, 2019. Manufacturers of any of the product lines noted above such as textiles, rubber, certain solvents, and lubricants that may contain any of the five PBT chemicals need to see the writing on the wall. According to the EPA’s October 11th notice, the agency will proceed immediately to consider and impose risk mitigation measures on these substances based on information available. These risk mitigation measures will be expressed in regulatory restrictions on the manufacture, processing, use and disposal of these PBT chemical substances. Any such restriction may impact, potentially significantly, commercial uses of these substances. Impacted stakeholders are urged to monitor the EPA’s actions closely and be prepared to address forthcoming risk management requirements applicable to these substances and the products that contain them. 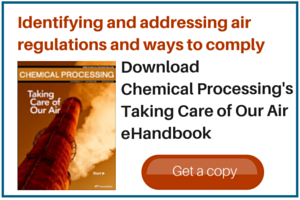 For more information about the Frank R. Lautenberg Chemical Safety for the 21st Century Act, the EPA’s implementation activities and sign up for updates, visit http://goo.gl/HXdbQO.